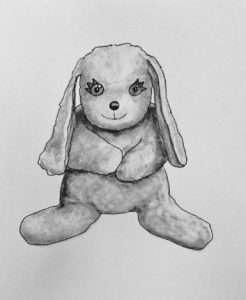 Kasey Claytor has announced her next book, a children’s book, that she both wrote and illustrated. Trained in oil painting years ago, she decided to tackle illustrating the children’s stories herself. The first one to be released, date not yet announced, is entitled, Pinky, And the Magical Secret He Kept Inside. It is based on her own stuffed animal that she is lucky enough to still have, after all the moves and years. 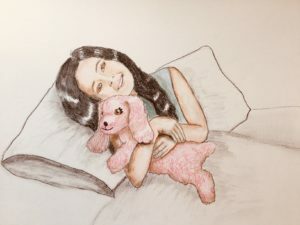 In this precious, little story we find Pinky, a small, pink, stuffed dog, wanting nothing more than to be the best loved of all the stuffed animals his sweet human, Francesca, has. In this endearing story Pinky learns just how important his love is. From Francesca’s dream to Pinky’s big award, this little book will steal your heart. Who’s is to say our sweet stuffed animals aren’t real beings? Who can say they aren’t infused with the same God force that enlivens us?